Your baby is communicating with you from birth. At first, you will have no idea what is wrong when baby cries. As you respond to your baby's cries and meet her needs, you are teaching her how to communicate. 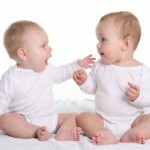 Here are some ideas to help your baby develop their communication skills. Your baby is communicating with you from birth. At first, you will have no idea what is wrong when baby cries. Soon you will come to know the difference between a cry in hunger and a tired cry. As you respond to your baby’s cries and meet her needs, you are teaching her how to communicate. As she grows, your communication will your baby will too. Throughout the pregnancy, your baby listened to your voice. 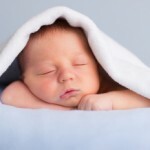 When babies are born, they are able to recognize the sound of their mother’s voice. Studies have demonstrated that babies will turn in the direction of their mother’s voice over any other. Both you and daddy should talk to your baby during the day. While he or she won’t understand your words, they will be soothed by the sound of your voices. As they grow, they will recognize the sounds, rhythm and pattern of their native language. This babbling will continue for the next several months. 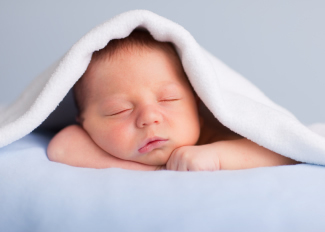 By around six months of age, your baby will begin to repeat the sounds you make. This is a key milestone in language development. The baby is learning that certain sounds are used in communication and is attempting to replicate the sounds he hears from his parents. Continue to play with him by making sounds and having him repeat them. Continue talking and reading to your baby. As he grows, he will begin responding in two word and then short, complete sentences. The more time you spend talking to your child, the more you will encourage his language development. Modeling communication and giving your child plenty of time to practice his communication skills are the best way you can help your baby develop his language skills.